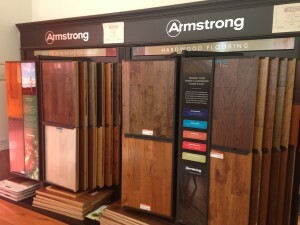 Armstrong | PriceCo Floors, Inc.
PriceCo Floors is a proud supplier of Armstrong hardwood flooring. With designs to match any decor, Armstrong’s hardwood flooring options can be found to match everything from contemporary to rustic styles. Armstrong offers solid or engineered wood flooring products in a variety of finishes, stains and textures, guaranteeing each and every customer to find a product that fits the look they are aiming for. See how much our buying power can save you! American Scrape SAS507 Hickory Gold Rush 3/4 x 5″ – In Stock and On Special- Call 301-317-6220 for best pricing! American Scrape SAS508 Hickory River House 3/4 x 5″– In Stock and On Special- Call 301-317-6220 for best pricing! American Scrape SAS510 Hickory Clover Honey 3/4 x 5″– In Stock and On Special- Call 301-317-6220 for best pricing! American Scrape SAS503 Oak Brown Bear 3/4 x 5″– In Stock and On Special- Call 301-317-6220 for best pricing! American Scrape SAS504 Oak Nantucket 3/4 X 5″– In Stock and On Special- Call 301-317-6220 for best pricing! By stocking many of Armstrong’s most popular lines- American Scrape, Rural Living, Prime Harvest and much more- we can serve our customers better. With designs to match any decor, Armstrong’s hardwood flooring options can be found to match everything from contemporary to rustic styles. Armstrong offers solid or engineered wood flooring products in a variety of finishes, stains and textures, guaranteeing each and every customer finds the product they are looking for. Some of our Armstrong Specials!!! Text, email or call us for the best pricing today!!!! !